Today concludes the grand Navarathri celebrations, today 24th October 2012, being the 10th day celebrated as ‘Vijaya Dasami’ - a day considered most auspicious for starting learning. Children are put in schools and taught the first syllable known as “Aksharabyasam”. Today is also considered a very auspicious day for starting new ventures. 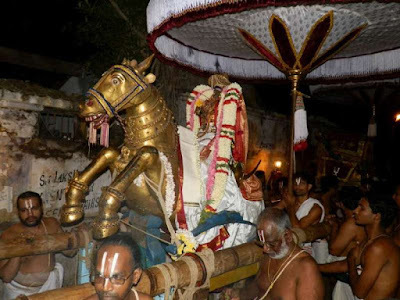 On this day at Thiruvallikkeni, there was purapadu of Lord Parthasarathi on ‘kuthirai vahanam’ – the Lord in pure white silk riding a horse was great darshan to all bakthas. Today also marks the birth celebrations [sarrumurai] of Boothath Azhwar. 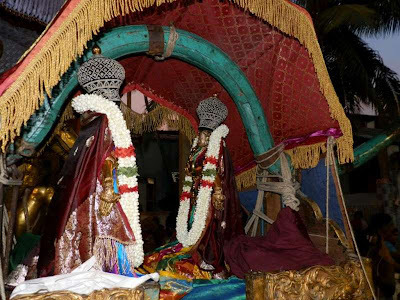 In Sri Parthasarathi Swami temple and in many other temples, it is day of ‘Parvettai’ when the Lord is taken on procession doing ‘vettai’. The Lord would aim his arrows at vanni tree. 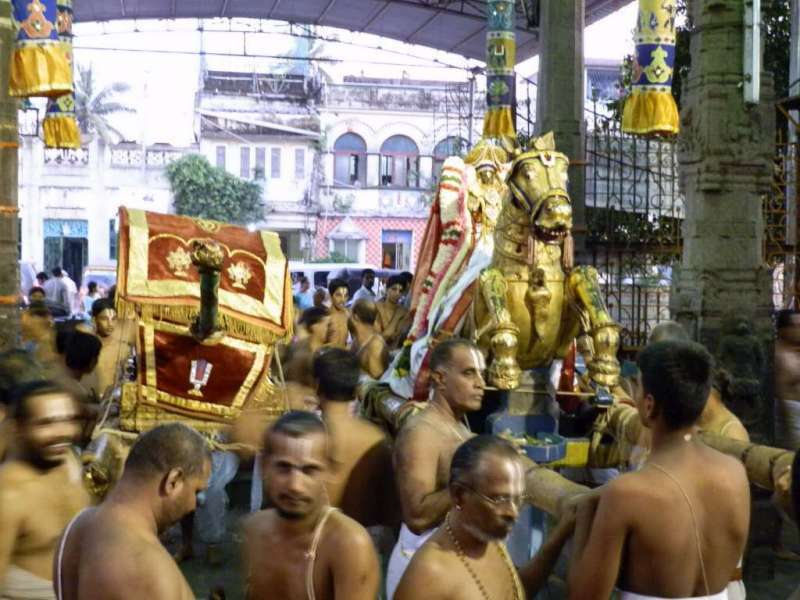 Perhaps this purappadu signifies the Agnyatha vasam in Maha baratham. 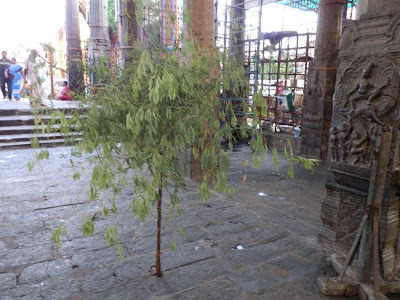 In the Virata parva, Arjuna caches his weapons in a vanni tree and when the incognito duration is over, Vijaya retrieves his hidden arms from the tree and starts practicing which eventually helps in his success in the war. In yesteryears, this significant event would be reenacted at Vasantha Bungalow in the Venkatrangam Street – now it is a decade since - the Bungalow is no longer there at that place – a new one has been constructed at TP Kovil 2nd Street and for reasons best known to Temple devasthanam, Perumal does not visit this place too. 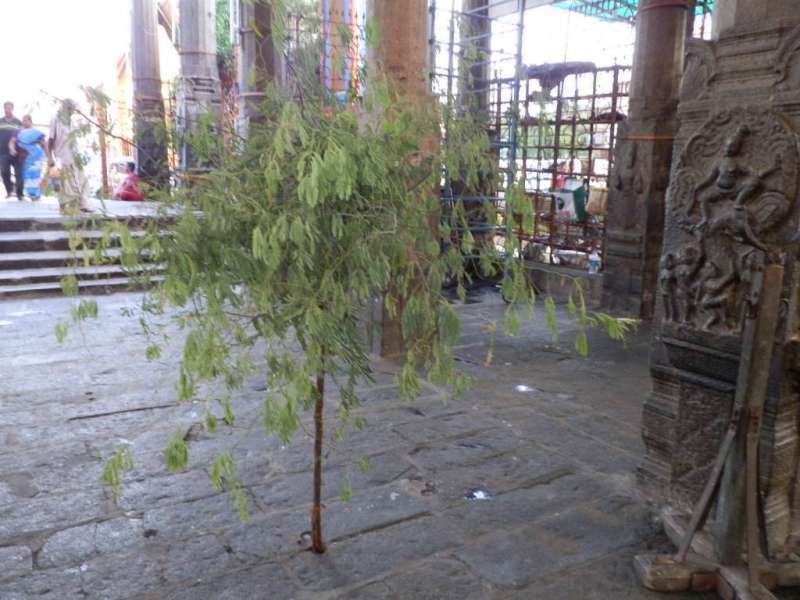 A branch of vanni tree was symbolically placed at the entrance of the Temple where Parvettai was performed. Here are some photos taken during the purappadu. At Thiruvarangam, Nam Perumal visits Kattazhagiya Singar temple which lies closer to the Srirangam Railway station. 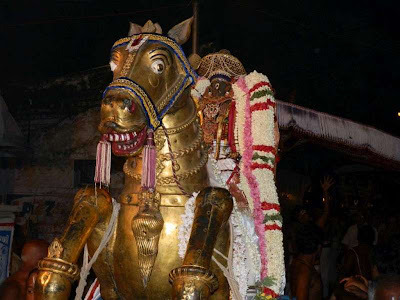 At this divyadesam, Lord Ranganathar on Golden horse does Vannimara paarvettai. Arrows in different directions signifying the killing of Vanniyasura, the forest demon and symbolically suggesting the protection of the good is being reenacted here.